Jamaica Inn is an Alfred Hitchcock thriller starring Charles Laughton as a villainous squire. The Stars: Charles Laughton, Maureen O'Hara, and Robert Newton. Source Material: Daphne du Maurier's 1936 novel. 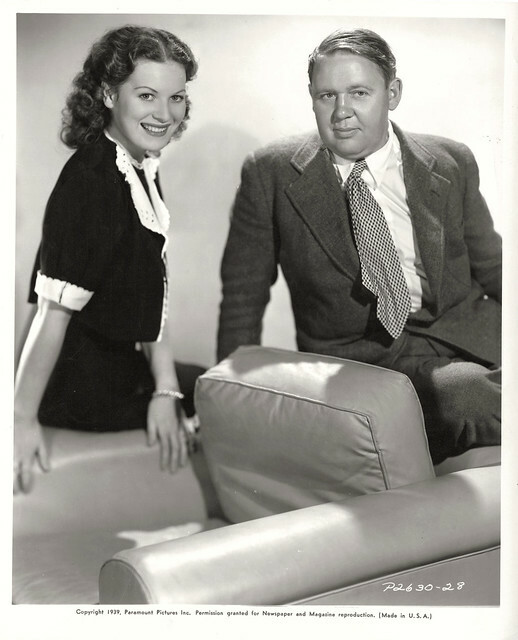 Maureen O'Hara and Charles Laughton in a publicity still for Jamaica Inn (1939). The Plot: A young Irish woman, Mary Yellen (O'Hara), comes to live with her uncle (Leslie Banks) and aunt (Marie Ney) at an isolated inn on the rugged Cornish coast. She is shocked when she discovers the inn is the base for a gang of wreckers -- men who lure ships to their doom so they can steal the cargo -- led by a villainous squire, Sir Humphrey Pengallan (Laughton). Backstory: Laughton acquired the rights to du Maurier's Gothic suspense novel as the first feature for Mayflower Films, a production company he started with German producer Erich Pommer. Laughton and Pommer conceived of Jamaica Inn as a historical thriller with Laughton in a show-stopping turn as the villain. 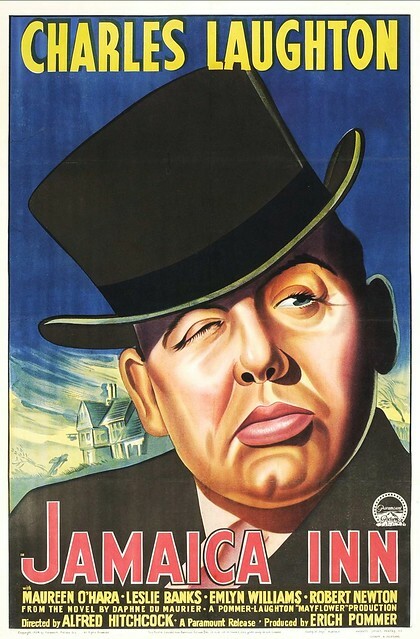 Laughton and Pommer hired Hitchcock because of his successful track record directing other suspense movies like The 39 Steps (1935) and The Lady Vanishes (1938). Maureen O'Hara in a publicity still for Jamaica Inn. Best Performance: Charles Laughton as Sir Humphrey Pengallan. Robert Newton, who would later "aargh" his way through many a performance as Long John Silver, is actually quite good here as a gang member who turns out to be an undercover agent, but Jamaica Inn is Laughton's show from start to finish. In my opinion, Laughton and James Cagney are the two greatest screen actors of the 1930s, and Laughton gives a brilliantly over-the-top performance here. Laughton is very campy; he gives a broad performance with waxed eyebrows and a peculiar walk that would have perhaps worked better on the stage, but he's still ridiculously entertaining while he's insulting his dinner guests or tossing off villainous bon mots. Best scene: Sir Humphrey nonchalantly kidnaps Mary after killing her aunt and uncle. (clip below). Best Line: "The age of chivalry is gone," an ironic Sir Humphrey after breezing through another dastardly deed. Sir Humphrey Pengallan: The character of Sir Humphrey does not appear in du Maurier's novel. Instead, the main villain was a clergyman, but since immoral depictions of men of the cloth were not permitted in American movies (Jamaica Inn was made in Britain, but it would not make money unless it was shown in the U.S.), screenwriters Sidney Gilliat and Joan Harrison changed the character to a local squire. 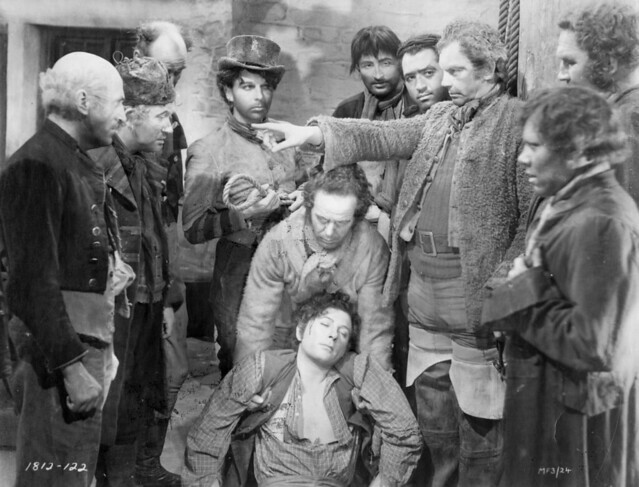 The gang of wreckers, led by Joss Merlyn (Leslie Banks, who is pointing his finger) prepare to hang Jem Trehearne (Robert Newton, collapsed in the center). 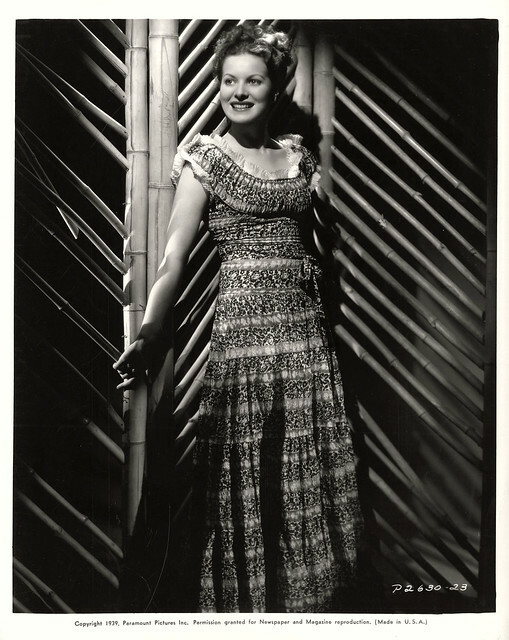 Maureen O'Hara: O'Hara had only appeared in two B movies prior to Jamaica Inn. She recalled in her autobiography that she did a terrible screen test for the part of Mary Yellen, but Laughton and Pommer admired how beautiful she looked onscreen so they hired her anyway. Laughton became a great champion of O'Hara's career, and he brought her along with him to MGM for another 1939 classic, The Hunchback of Notre Dame. Fun Fact: Jamaica Inn is a real place located in Bodwin Moor, Cornwall. It was built in 1750 and quickly became a haven for rum smugglers (the rum came from Jamaica, thus the inn's name). Today, it's a popular tourist destination that features a museum of smuggling. A lobby card for Jamaica Inn. 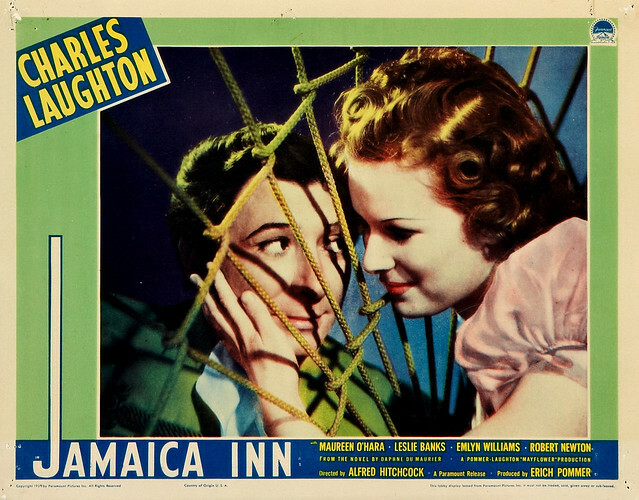 Why it's essential: Through the years, Jamaica Inn has unfairly gotten a reputation as a terrible movie, but it was a box-office hit in 1939, and it's still quite an entertaining thriller. It certainly doesn't compare to Hitchcock masterpieces like Vertigo (1938) or Rebecca (1940), but it features a bravura performance by Laughton, and Hitchcock directs with his usual visual interest. Hitchcock never really liked Jamaica Inn. He was not comfortable making movies as a director for hire; instead, he preferred to control a project from start to finish. Even so, he does quite a lot with a little in Jamaica Inn. The opening scene of a shipwreck is actually quite suspenseful even though Hitchcock is obviously working with a scale model. Availability: Jamaica Inn is available for streaming on Amazon Prime. It is also available on DVD and video on demand. Next week, the essentials will take a break so I can participate in The Billy Wilder Blogathon 2015 with an article on The Fortune Cookie (1966).